Hotel Clarks Varanasi – Embrace Excellence In Style! Travelling is one disease that is hard to cure if it catches hold of you! Indeed I was victimized by the craze of adventure travel and trekking. Often do I used to plan trips and tours to various places which lasted for 3-4 days with my friends. An ardent desire of photography rushes down my veins and being in my mid twenties I manage to pull out all the time and energy for my hobbies and interests. One of my most cherished experiences were when I travelled with my friends to Varanasi. We had several choices to choose from when it came to selecting accommodation in this ciry for there was a competitive environment between various hotels in this place. 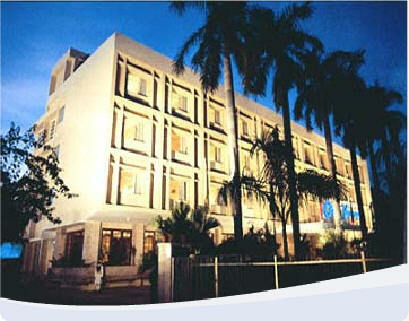 I decided to chose the Hotel Clarks Varanasi. To my surprise this decision of mine gave me an entirely unique and new experience which remains unforgotten till date! I found the hotel priced at affordable tags with adequate services that it offered. We couldn’t ask for more than this, a budget accommodation and travel package which seemed interesting to adventure seeking men like us! This hotel has facilities like babysitting and kids’ zone wherein the kids can play several video games and outdoor games and keep themselves occupied while the infants can receive motherly attention. I was benefited by the sightseeing service offered by the hotel where we stayed. Without much strain we could see the places in and around Varanasi and set a memory. There were commendable services that were offered in this hotel. We had an amazing and dedicated room service who attended to all our needs and demands at round the clock timings. The cuisine of this hotel had the magic of creating relishing taste delicacies. Despite being tourists we restricted ourselves from trying various food joints owing to the brilliant cuisine of the Hotel Clarks Varanasi. The hotel is built around an extremely photogenic location wherein I found it very difficult to put my camera down! I filled the spaces of my camera and my mind with the exotic memories this wonderful place blessed me with!